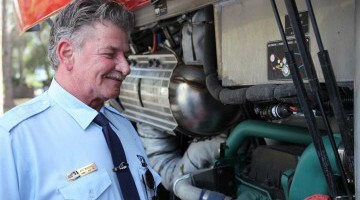 Annett Bus Lines | Proud to Support Our Communities That We Serve. At Annett, Safety is not a department, it’s our Culture! Annett goes the “extra mile” to ensure that our passengers are safe! Annett Bus Lines is proud to support our communities that we serve. When it comes to “going the extra mile”, Annett pulls out all the stops! 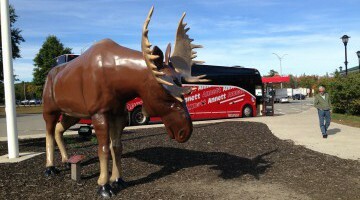 Our goal is to not only meet, but to exceed your expectations as a charter bus. We provide our customers with live entertainment and the convenience of utilizing smart phones, computers and hand-held gaming devices on-board. Enjoy discounted travel on Monday through Wednesday. At Annett, we aim to make your trip enjoyable. Our experienced staff is eager to understand your needs so that we can be ready to exceed your expectations. Our experienced travelers have given us many ideas over the years by telling us about their favorite destinations! We’ve gathered up those suggestions to share with you! Take a look at our Trip Ideas section and see what new places you can explore. Annett has just the right driver for your group’s needs. Whether it’s a driver who knows the major city or someone who can relate with your group and personally get to know you, we have the driver that will enhance your overall experience. “It was so wonderful to see smiling faces on all the kiddos who headed off to camp yesterday and on behalf of all of us, I just wanted to thank you and your whole team so very much! You have been incredibly kind and flexible and we are so grateful! Mr. “C” was absolutely amazing, so very warm, welcoming, and attentive. “I just wanted to thank you for the wonderful experience we had with Mary Jo again. She is amazing and a pleasure to work with! We were bouncing ideas back and forth for our trip next year possibly to Boston and New York City. Ready to Plan Your Travel? Request your free quote today and one of our dedicated sales team will contact you! We Have a Bus Near You! 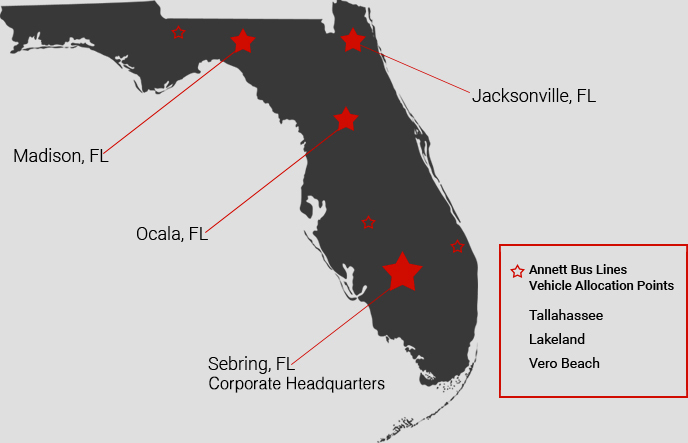 Annett Bus Lines is a part of a Consortium of Motorcoaches and can serve in a variety of ways. Annett Bus Lines covers the state like no other Florida bus companies and is the company for you!